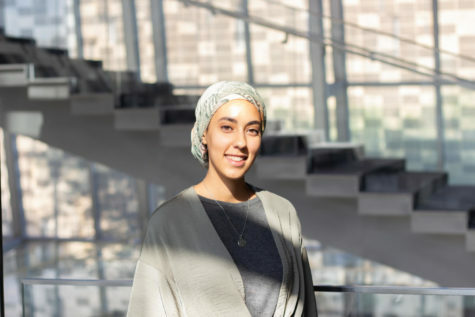 Maryam Gamar is a Libyan/ Canadian freshman at NU-Q. Maryam has conducted research for Stanford’s Muslim Mental Health Lab and received a fellowship from Grubstreet, a creative writing hub in Boston. She has lived in four countries and her cross-cultural experience is one of the reasons she chose NU-Q. She is passionate about making a change in her areas of interest which include female empowerment, mental wellness, and sustainable food production. Maryam hopes to study journalism.